The calendar has been updated to show the regular events scheduled for next year. The monthly pistol shoot will take place , as usual, on the last Sunday of each month. The regular NSAI Silhouette Shooting Classification shoot will take place on the second Sunday of each month. 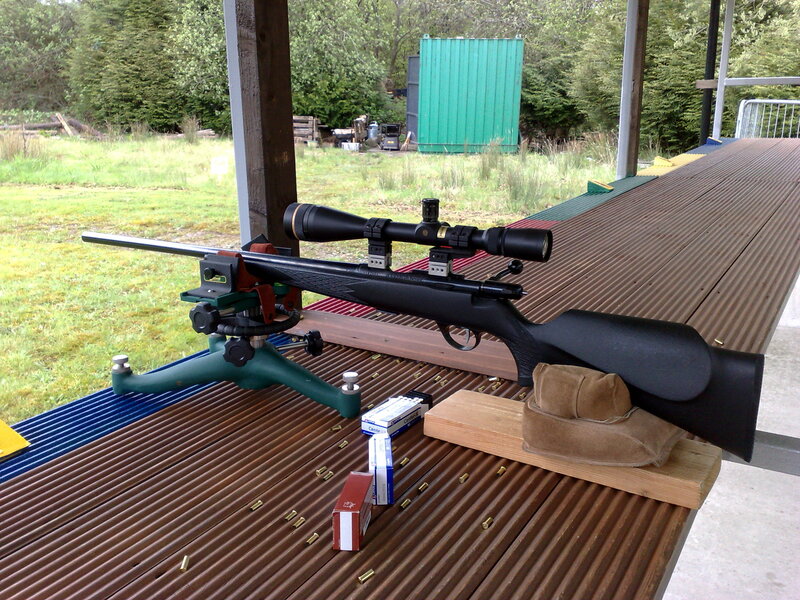 The Gallery Rifle 50 Metre Precision shoot will take place on the first Sunday of each month. A new shoot is added to the calendar. This is the Field Sporting Rifle 50 Metre competition. This is shot using the rules established by the NASRPC which has proved to be very successful at all National Competitions this year . It is shot, in the prone position, using any rifle which meets the NASRPC specifications, which are, in summary, weighing 10lb or under, fitted with scopes. The rifle can be rested front and back on sand bags, adjustable rests, bipods etc..Two cards are shot, 20 shots in each, 15 minutes each card, max possible score 400. We have scheduled this for the first Sunday of each month, together with the 50 Metre standing shoot. The courses of fire are short which will enable shooters to take part in both and still get away early.